BMW's G 310 R is going to compete with some really impressive motorcycles! 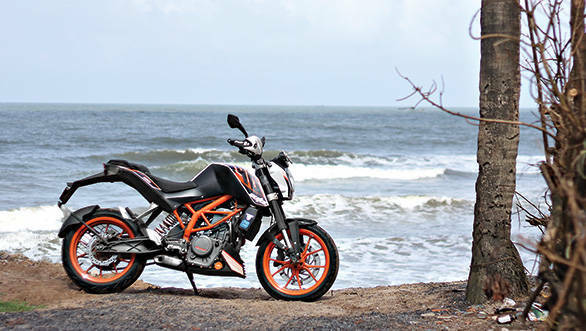 The KTM 390 Duke is a superhit in the country and offers the best bang for the buck in the segment. The Yamaha YZF-R3 is a twin cylinder motorcycle with good performance and excellent build quality. 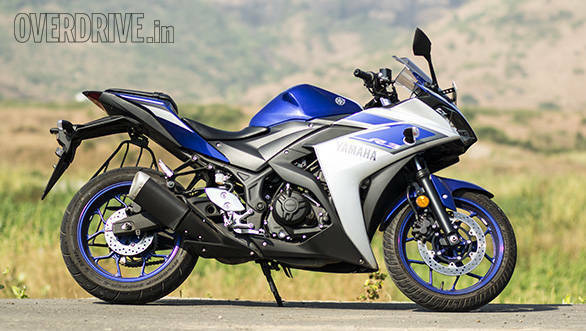 It carries Yamaha's R-series legacy and in many ways is the ideal step up from the YZF-R15. The Kawasaki Ninja 300 is the only other twin cylinder motorcycle in the segment and has established itself as a motorcycle that one can tour on. The Honda CBR 250R is the oldest motorcycle here. It gets a single cylinder, liquid cooled engine that's simply outclassed in this party. The Honda CBR 250 R also has had a few niggling quality issues and its surprising that the KTM is a cheaper yet better finished motorcycle than the Honda. The BMW G 310 R should be a well finished product as its a BMW and in the quality department it will have to match or surpass the benchmark setting- the YZF-R3. BMW has used a trellis frame to construct the G 310 R. A trellis frame offers excellent rigidity and can be made using cheaper metal like steel. The KTM 390 Duke gets a trellis frame too and that's no surprise since it's a design that the Austrian company swears by. Besides these two, the Honda CBR 250R also gets a steel trellis frame. Interestingly, the Yamaha YZF-R3 uses a half trellis frame while the Ninja is the only motorcycle without a trellis frame. 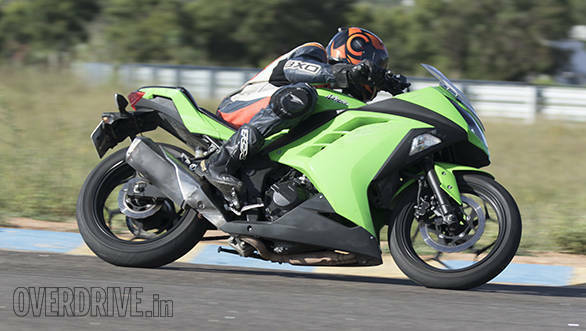 The Kawasaki Ninja 300 gets a tubular diamond frame that offers decent feedback. It however, is the heaviest motorcycle in this comparo while the KTM weighs the least. 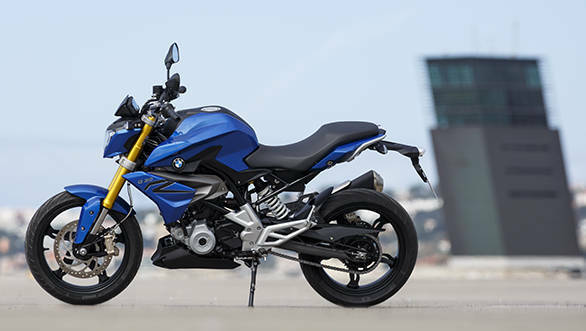 The BMW G 310 R is 4.5kg heavier than the Duke and that makes it the second most lightest motorcycle in the segment. The BMW gets a 34.4 PS engine which results in a power to weight ratio of 217 PS/tonne which is about 83PS/tonne lower than the KTM 390 Duke which also makes the most power at 43.5PS. The Yamaha has the next best power to weight ratio with 248.5PS/tonne while the Ninja is third. The Honda CBR 250R's power to weight does not even cross the 200 mark with a dismal 162.6PS/ tonne power to weight figure. All motorcycles get a 6-speed transmission. The BMW G 310 R gets 41mm USD forks and is the only bike with USD forks besides the Mahindra Mojo and KTM 390 Duke. The Duke's unit, however, is 2mm thicker than those on the BMW. The rest get a conventional front suspension setup. 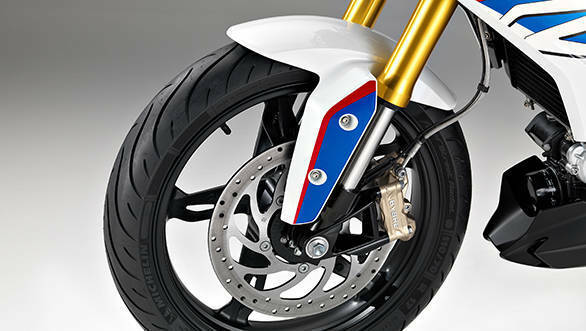 The rear monoshock is preload adjustable on all motorcycles. The KTM and BMW also get the largest front brake rotors at 300mm along with two-channel ABS as standard. This is indeed commendable and we feel that Yamaha and Kawasaki should have offered ABS, at least as an option. Yamaha is working on an ABS equipped YZF-R3 for India and we hope that day arrives soon. The Honda CBR 250R does offer ABS as an option but that pushes the price way above the KTM 390 Duke's and hence is not a feasible option. All motorcycles get a 110/70 R17 tyres at the front. At the rear, the KTM and BMW get the widest tyres at 150/60 R17. The rest get 140/70 R17s. What's interesting, however, is the type and quality of rubber that each manufacturer has chosen. At the head of the field is the KTM 390 Duke that get the sticky Metzelers as standard. The tyres offer immense confidence, both on the road as well as the track, and the confidence in the wet is another highlight. The Honda CBR 250 R gets Continental tyres that get the job done, just about. The Kawasaki and Yamaha, sadly, get tyres that don't allow the rider to fully exploit the potential of the motorcycles. We've ridden the two motorcycles on the track and always felt that the tyres are holding back the chassis. The MRFs on the Yamaha are decent on road and a lot like the IRC rubber on the Ninja. Going by the press shots and release, the BMW G 310 R get Michelin Pilot Street tyres as standard. There is no word on what tyre will be offered in India though. If BMW fits the G 310 R with Michelins it would be great. It could alternatively work with TVS tyres to develop a new tyre for India that would offer performance and durability. It's a known fact the KTM too offers Metzelers in India and softer Pirelli rubber in Europe. However, the Metzelers are very capable and offer excellent grip so it'll be interesting to see what rubber the BMW chooses for India. The entry level market in India is witnessing a lot of action and manufacturers seem to have finally realised that the Indian motorcyclist does exist. Proof? Count the number of KTMs that populate our streets. BMW seems like it's trying to reach a middle ground in the segment. It would want to position G 310 R slightly above the KTM but not dangerously close to the twin cylinder motorcycles. At one end of the spectrum you have the KTM 390 Duke, a fast, entertaining motorcycle that doesn't need you to necessarily break the bank. The Yamaha YZF-R3 is priced a little lower than the Ninja 300 and that makes it the choice if twin cylinder motorcycles are your thing. It is a brilliant product and user friendly too. It's ergonomics are suited for highway as well as daily commutes and a track day can be another enjoyable experience too. The Kawasaki Ninja 300 is a capable all rounder too but the Yamaha is a better deal here. The Honda CBR 250R, given its age and equipment is simply obliterated by the competition and we're just talking specs here. 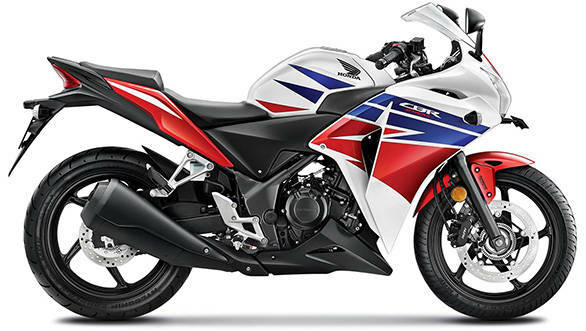 Globally, Honda sells the CBR 300R but Honda India has just launched a re-stickered CBR 250R. It's about time that Honda takes the market seriously. The BMW G 310 R when launched will have BMW's quality and brand value as one of its strong points. It may not develop the most power but the company is aiming the motorcycle at a wider audience that need a fast yet comfortable motorcycle and at least on paper, the BMW seems to fit the requirements. The pricing will be a critical factor and we'd say a Rs 2.15 to 2.25 lakh price should be justifiable. For now, we count the days to the launch.